One of my favorite book series when I was growing up was C.S. Lewis’ “The Chronicles of Narnia.” In these books, children from war-torn England were able to explore the magical land of Narnia with all sorts of creatures and places they had never seen. To me, these books presented a metaphor for many storybooks. Storybooks allow the reader to go places and experience things from someone else’s perspective or in a new setting or context. They open a world of possibilities and make reading a fun experience rather than just a task for school or work. Now imagine growing up in a world without storybooks. 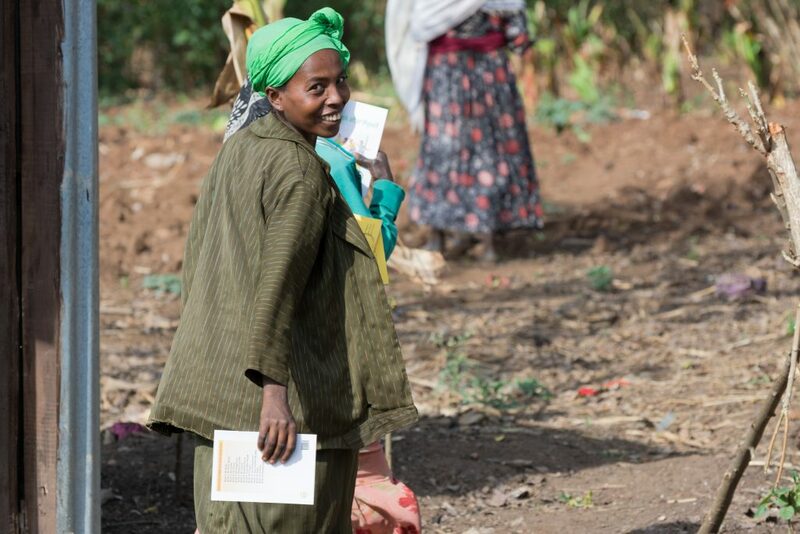 At Nuru International, many of the children of the farmers we work with in Ethiopia have never read a book that is not a school textbook. School libraries are filled with dusty, old reference books that are rarely used. Community members do not have books in their houses and libraries are inaccessible and mostly nonexistent. When storybooks do appear, they are few in number and mostly written in non-native languages. Even if a child wants to read, how will they practice? More importantly, how will they develop a love of reading? At Nuru Ethiopia, we have a multi-pronged approach to solving the storybook problem. Building off of our partner Save the Children’s Literacy Boost approach, we help build children’s love of reading in and out of school through these activities. 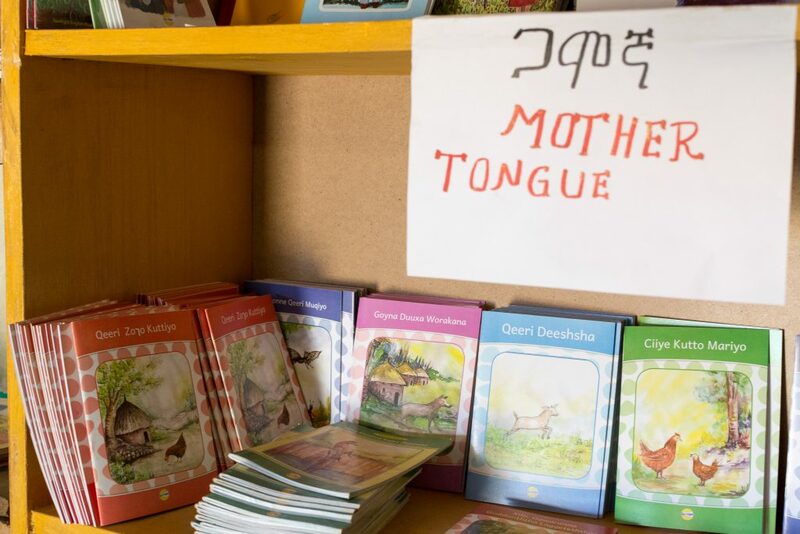 Books are provided in Gamugna, the mothertongue language of the area, as well as some English and Amharic titles so that children can practice reading. Parents are encouraged to read with their children, even if they themselves cannot read, by describing pictures and telling stories. The books are relevant to the area, but also provide an escape by providing experiences of others. 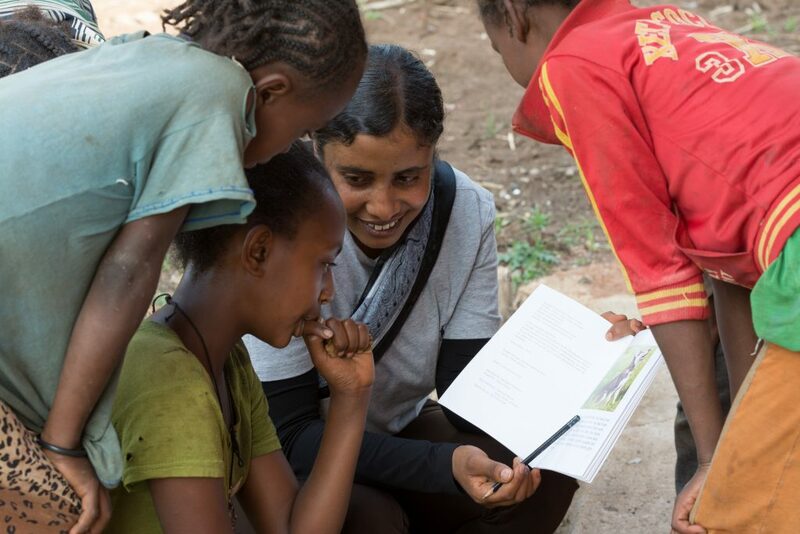 Nuru is grateful to be able to partner with local publishers like Spotlight publishing company, which creates titles and stories in local languages in Ethiopia. Instead of shipping in books from the U.S. or Europe, we can support local publishers and have low-cost, culturally relevant books. 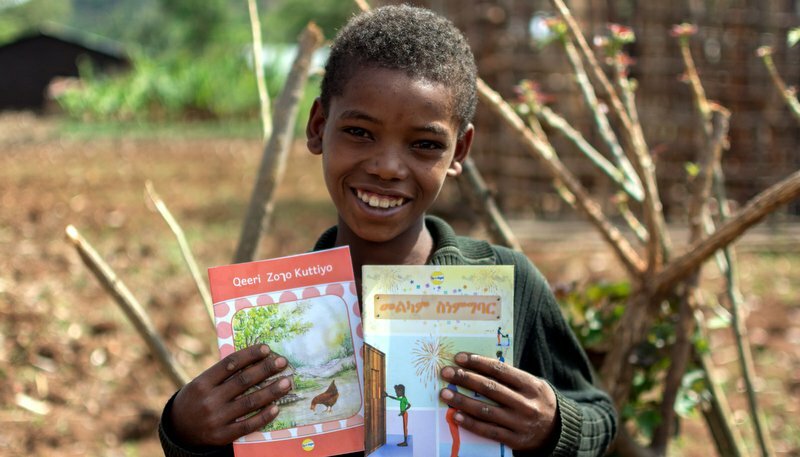 Other initiatives, such as the African Storybook Project and Bloom Publishing are working to create spaces where locally relevant and language-appropriate books can be created and stored in online repositories to address the millions of children who don’t have access to books. Join Nuru in celebrating World Book and Copyright Day on April 23rd, take the time to read a book with a child, and reflect on how lucky we are to live in a world with storybooks.